Update - Image Gallery and specification sheet uploaded. 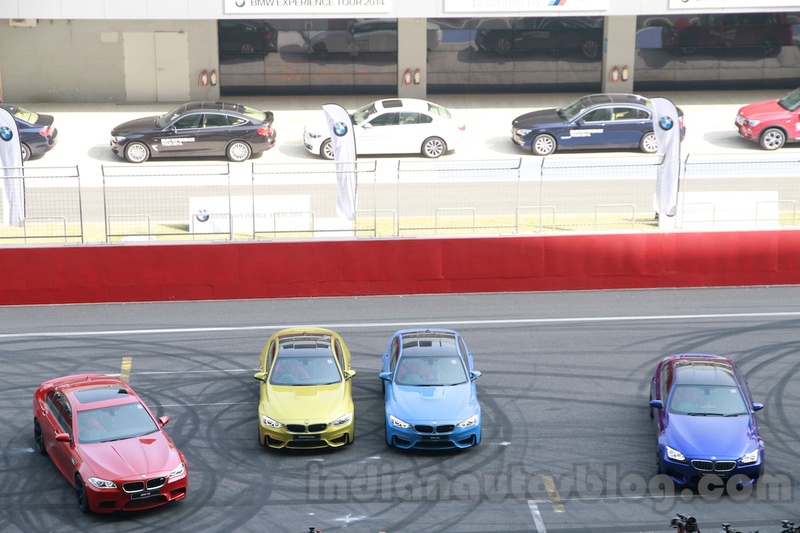 The BMW M4 Coupe has been launched in India at INR 1.218 cr (ex-showroom pan-India). The CBU import is essentially the successor to the M3 Coupe (BMW has rejigged the branding strategy). 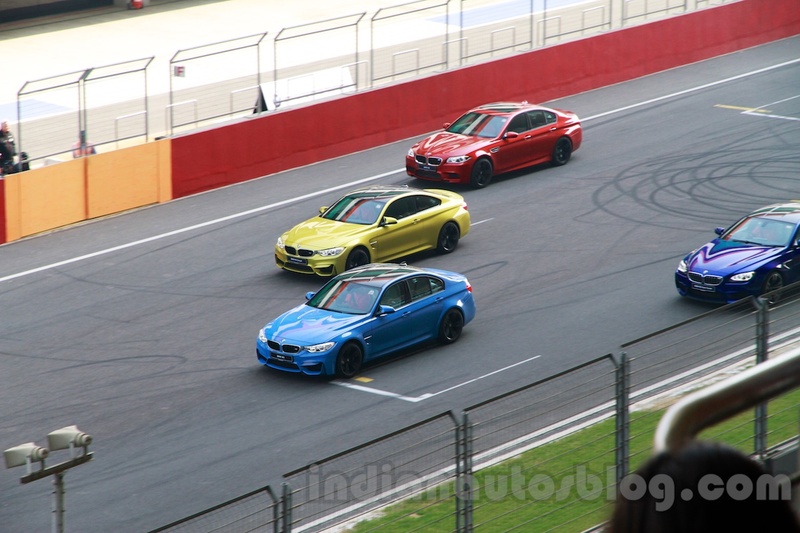 The BMW M4 Coupe (golden car) replaces the M3 Coupe. The M4 Coupe is based on the 4 Series which in turn is a Coupe version of the 3 Series. Just like the new BMW M3, the M4 Coupe features aggressive bumpers, M specific kidney grille, new alloy wheels, flared wheel arches, integrated rear spoiler, diffuser and a carbon fibre roof. The interior gets M sports seats, door sills, instrument console, pedals and gearshift lever. The car is equipped with a comprehensive BMW ConnectedDrive system that offers a wide range of multimedia infotainment functions. The M4 Coupe benefits from Active M Differential, Dynamic Stability Control with M Dynamic Mode and ABS to enhance its handling characteristics. The performance coupe is also packed with the EfficientDynamics measures which include break energy recuperation, 50:50 weight distribution and Auto Start/Stop. The M4 Coupe shares its 431 PS 3.0-litre TwinPower Turbo engine with the new M3 sedan. The same 3.0-litre inline six-cylinder M TwinPower Turbo petrol motor which powers the M3 does duty in the M4 Coupe. With 421 PS (415.24 bhp) and 550 Nm of torque in store, the Coupe catapults from 0-100 km/h in under 5 seconds and hits a restricted top speed of 250 km/h. A 7-speed M dual-clutch transmission propels the rear wheels.